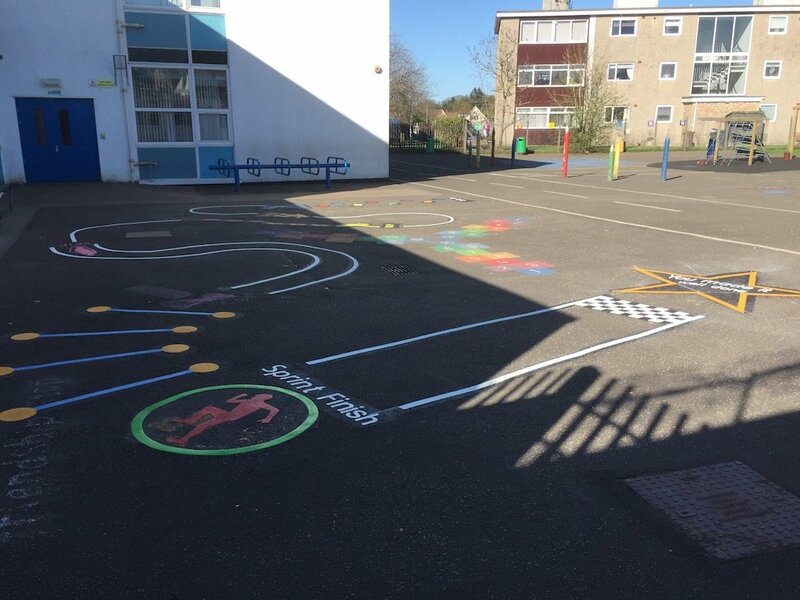 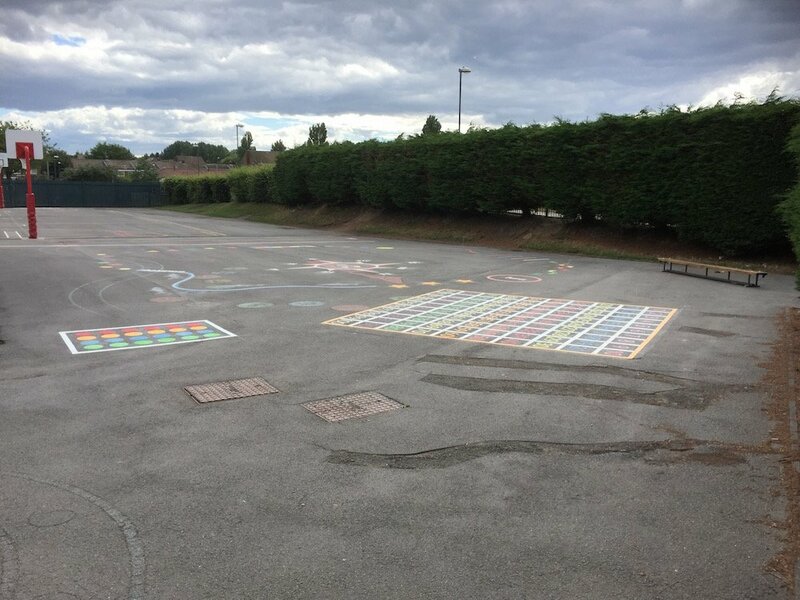 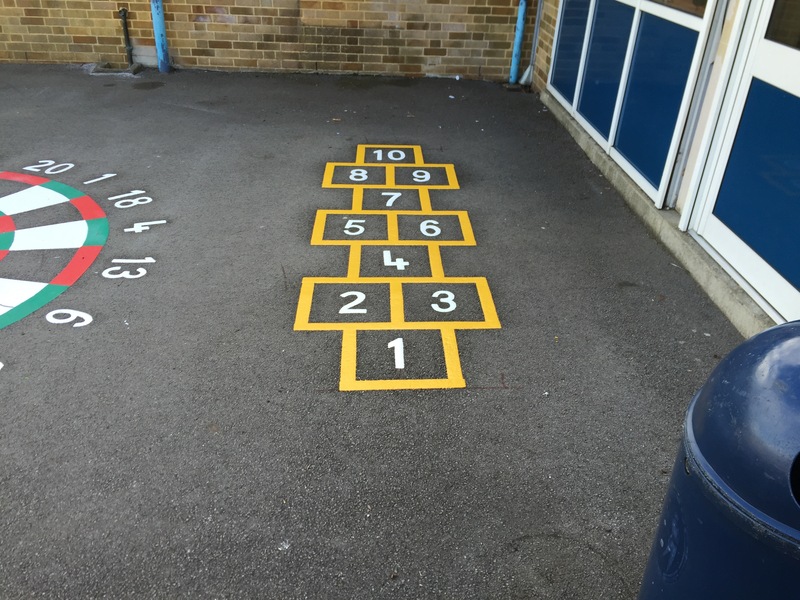 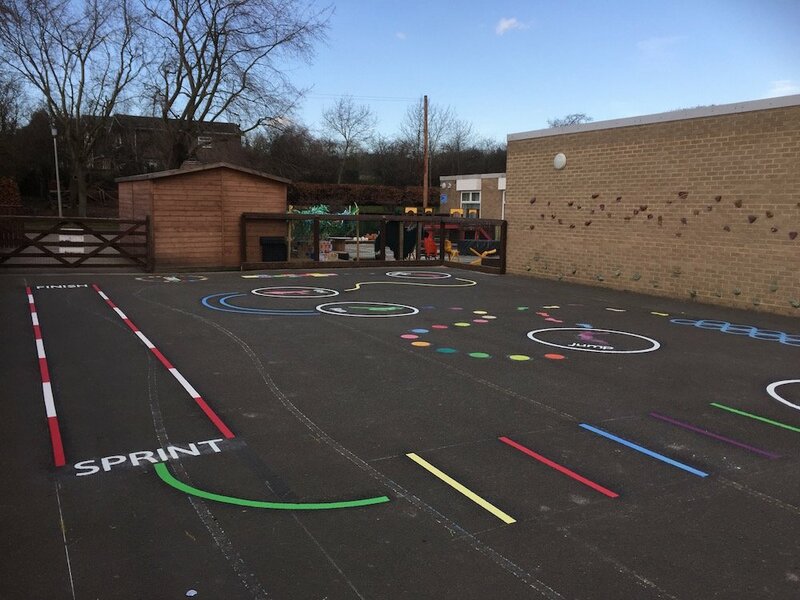 Thermoplastic Playground Markings at a Primary School in Swindon. 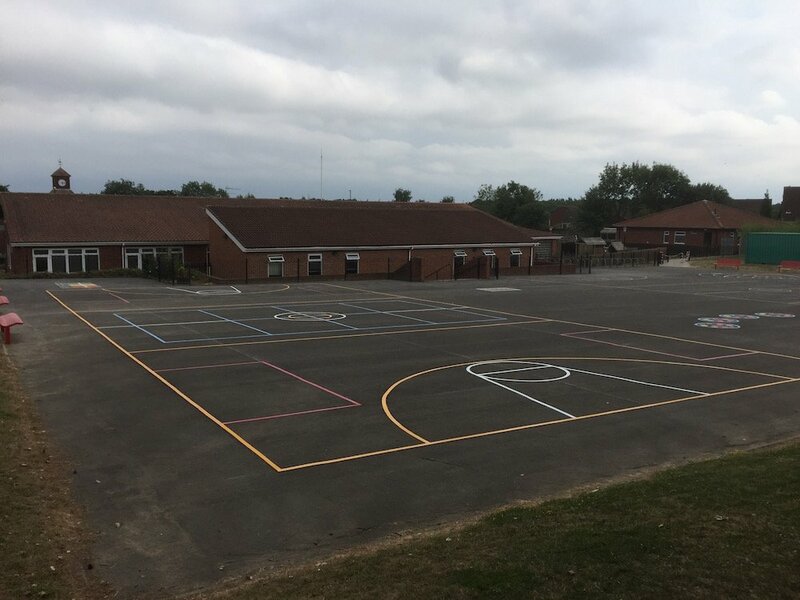 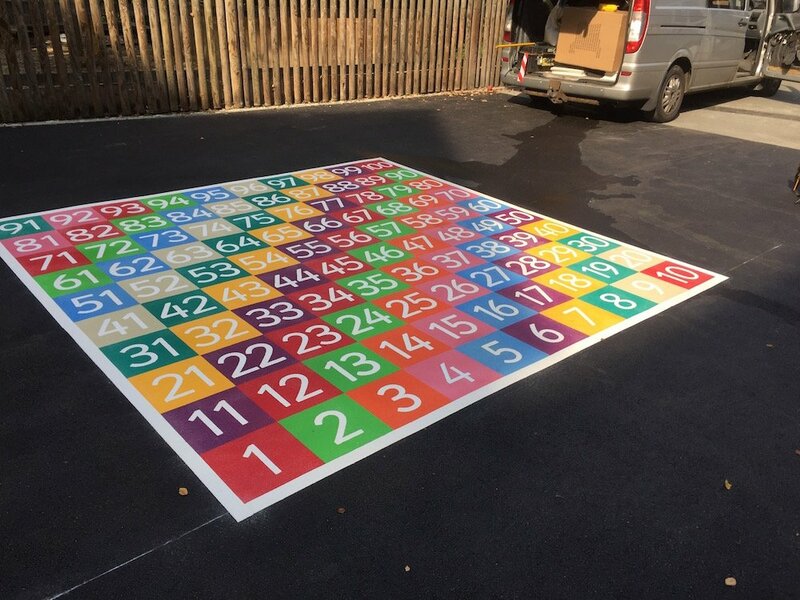 first4playgrounds installation team recently completed a range of thermoplastic playground markings in Swindon, England. 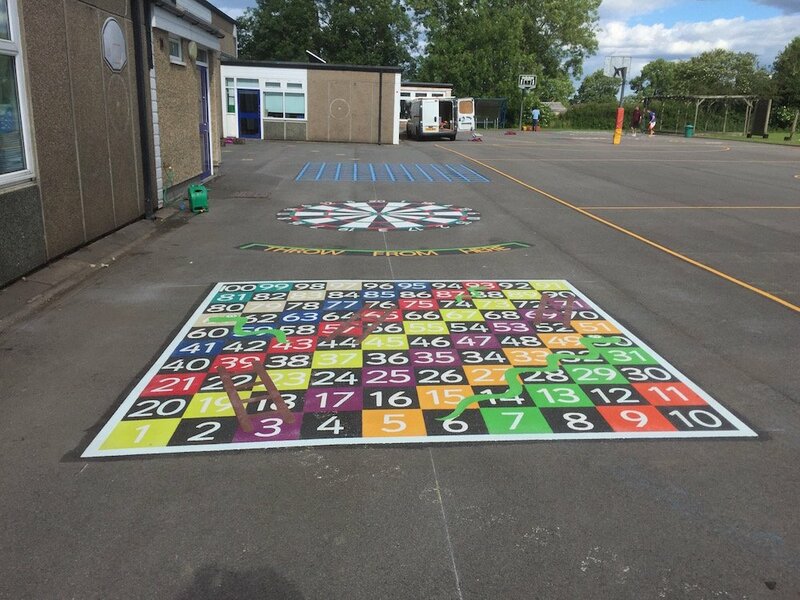 One of which was a dartboard. 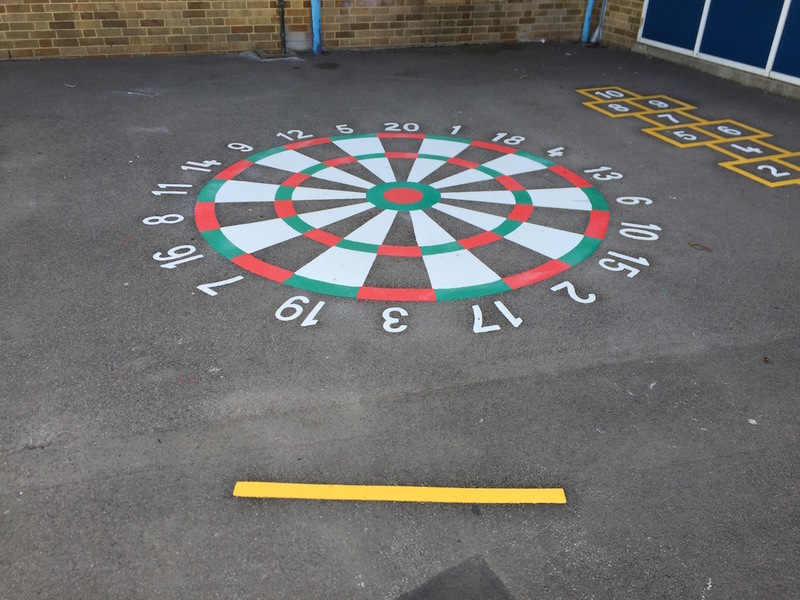 The dartboard is great for helping children to practice numeracy and addition. 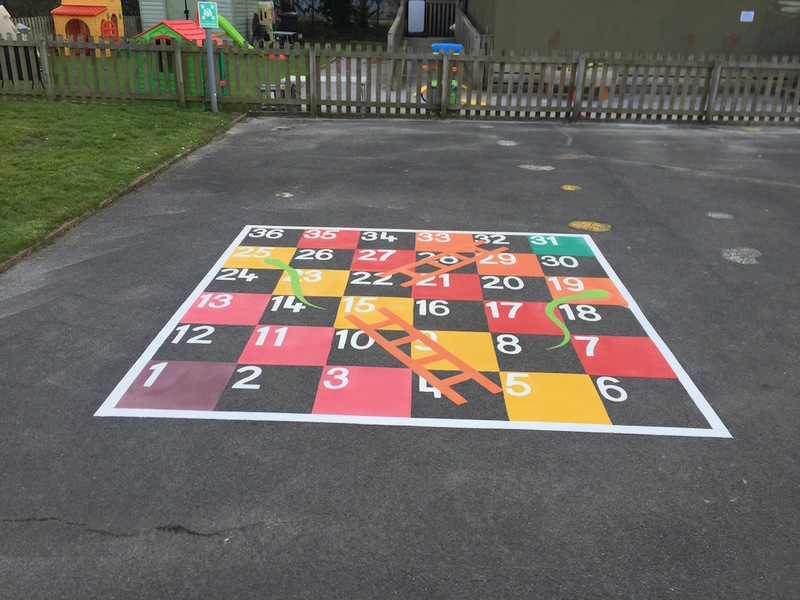 For young children practicing numeracy, the 1-36 Snakes and Ladders is perfect. 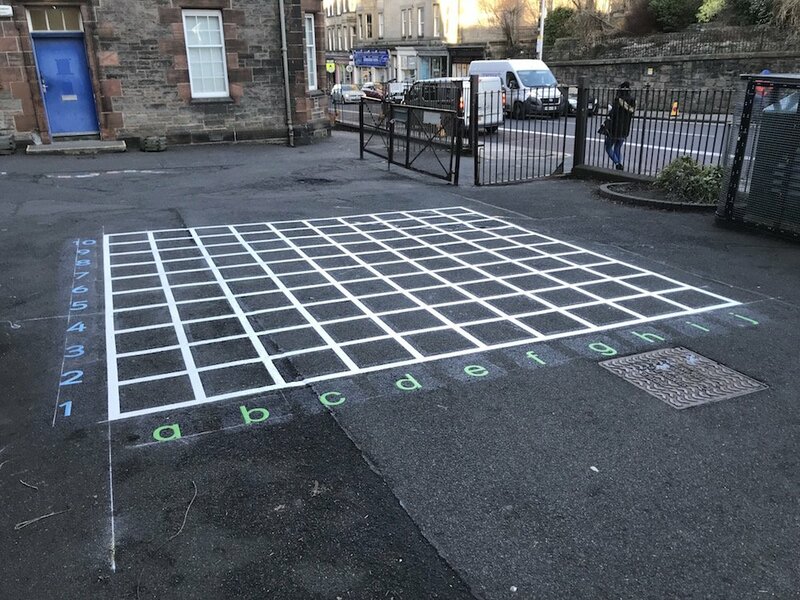 Played just as the famous board game. 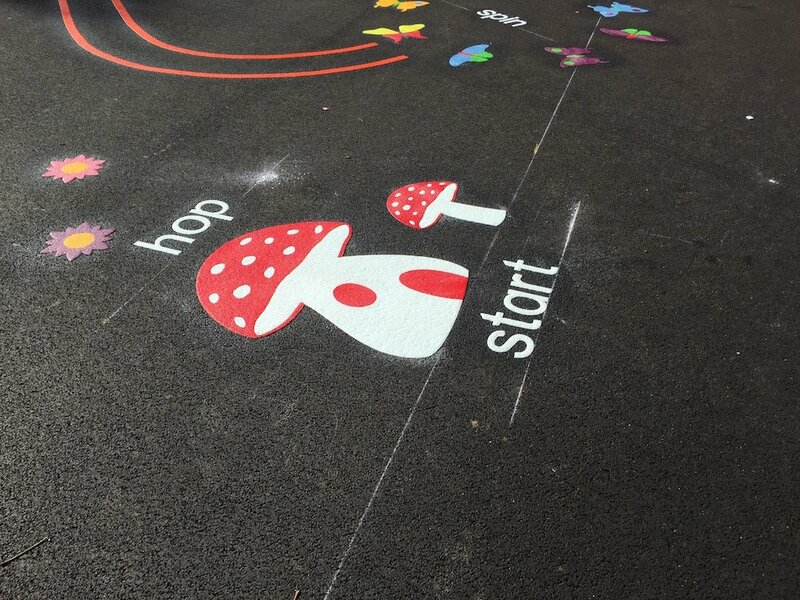 This Line hopscotch is a twist on our classic hopscotch game.